I’ve got holiday baking on the brain, but did you know that your oven can be a huge energy sink in your house? For this month’s Reliant Challenge, I was asked to try cooking with my microwave instead of the oven, and I thought what better way than to cook up some holiday treats! Your microwave uses a fraction of the energy that your oven does, which can translate into savings on your energy bill. 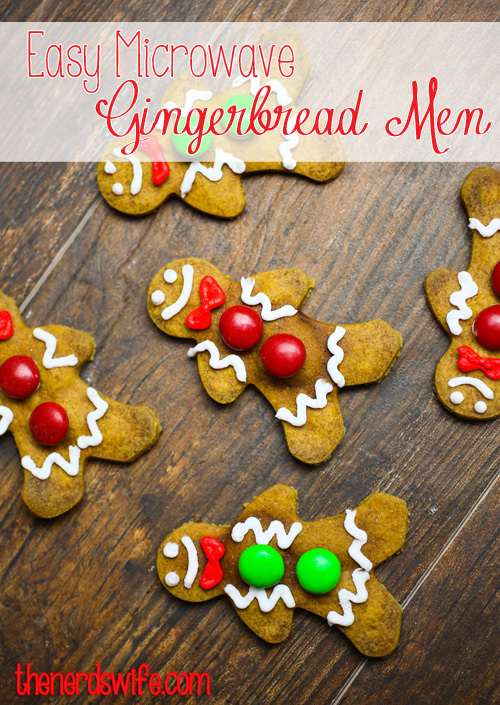 These Easy Microwave Gingerbread Cookies are a fun holiday treat and I didn’t feel like I was slaving away over the stove all day to make them. Plus, they’re yummy! 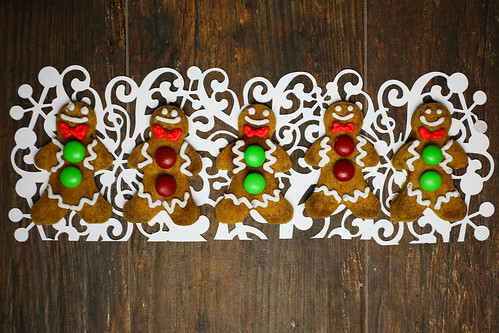 They’re very crispy, with all the flavor of traditional gingerbread cookies. Ready to put the oven aside and make some microwave treats? 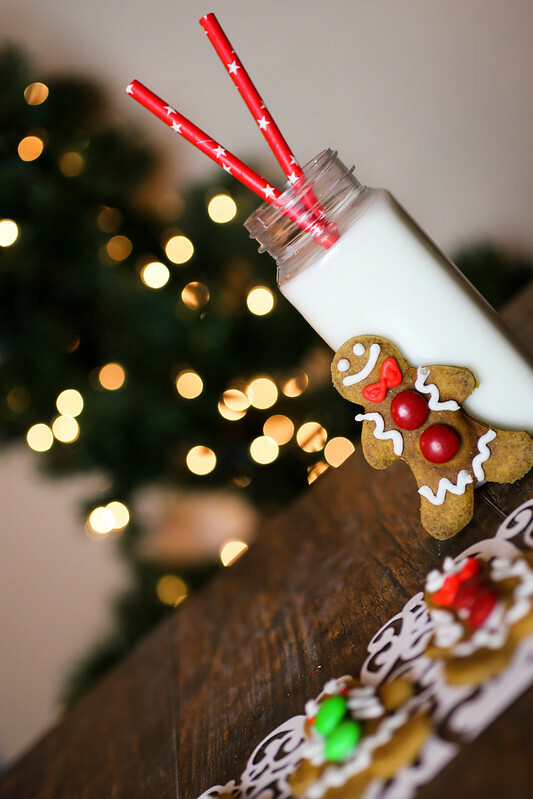 Stick around after the Gingerbread Cookie recipe for a list of other holiday treats you can microwave! Combine flour, salt, ginger, nutmeg, cloves and cinnamon in a quart-sized glass measuring cup and set aside. In a large mixing bowl, cream together the sugar and shortening until light and fluffy. Stir in molasses and water. Then, blend in flour mixture until smooth. Chill dough for at least 3 hours, then roll it out and cut out cookies. Place sheet of wax paper on an inverted glass baking dish and microwave the cookies uncovered on 50% power for 1 minute. Check them and cook again at 50% power for 30 seconds. Repeat as many times as necessary to fully cook the cookies. Mine were small, so I cooked them a total of 2 minutes. You have to watch them carefully, because they can burn easily. You want them to be golden brown, not dark brown. Cool completely, then decorate as desired with cookie icing and candy. I used some leftover royal icing from my Letter to Santa cookies and some M&Ms for buttons. 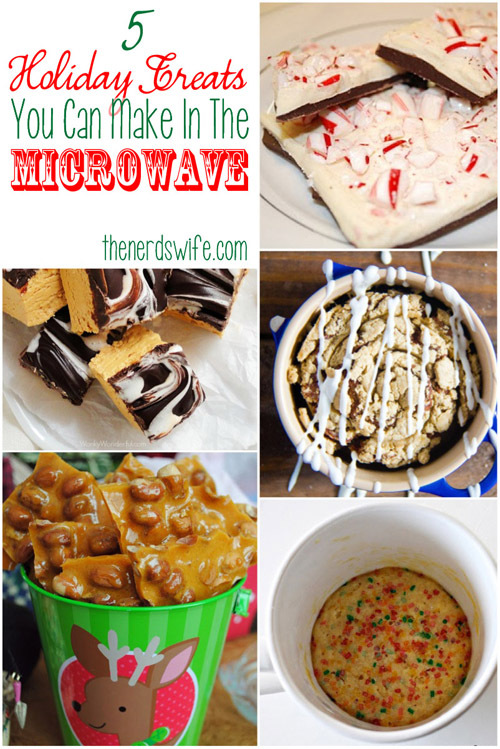 Here are even more treats you can microwave! 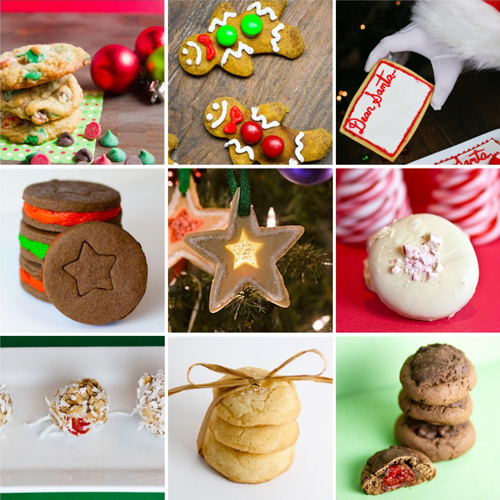 Don’t miss these yummy holiday cookie recipes!